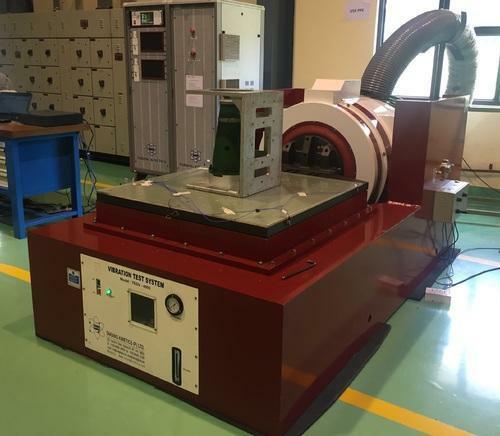 Tarang designs and Manufacturer, Exporter, Service Provider, and Supplier a broad range of high performance testing equipment that include Centrifuge Machine for Acceleration and Environmental Chambers. We are one of the leading manufacturers and suppliers offering a wide range of Electrodynamic Vibration Systems. The various products offered by us include Electrodynamic Vibration Shaker System, Low Force Series Of Electrodynamic Vibration Shaker, Electrodynamic Vibration Shaker System, High Force Series - Electrodynamic Vibration Shaker System, Horizontal Slip Tables, Digital Power Amplifier, Vertical Load Support, Vibration Combined Environmental Chamber, Bump Test Machine, Free Fall Type (Low Force "g"), Force Impact Type (High Force "g"), Bump Monitoring And Control System, Pneumatic Shock Test Machine, PC Based Instrumentation System, Centrifuge Machine for Acceleration and Environmental Chamber. These systems are acknowledged for durable finish standards, shock proof finish and user friendly interface. Offered at industry leading prices, we offer electrodynamic vibration system, vibration shaker system, testing equipments, amplifier and centrifugal machinery.These systems are quality tested on well defined parameters which ensure that our clients get the best subsequently, to achieve complete client satisfaction. Our range includes electrodynamic vibration shaker system, head expander, combo base horizontal slip table, vertical load support, pneumatic shock test machine, bump test machine, digital power amplifier, testing equipment, amplifier and centrifugal machinery.